Opened in 1926, this historic theater was once the pinnacle of culture and glamor in San Antonio. 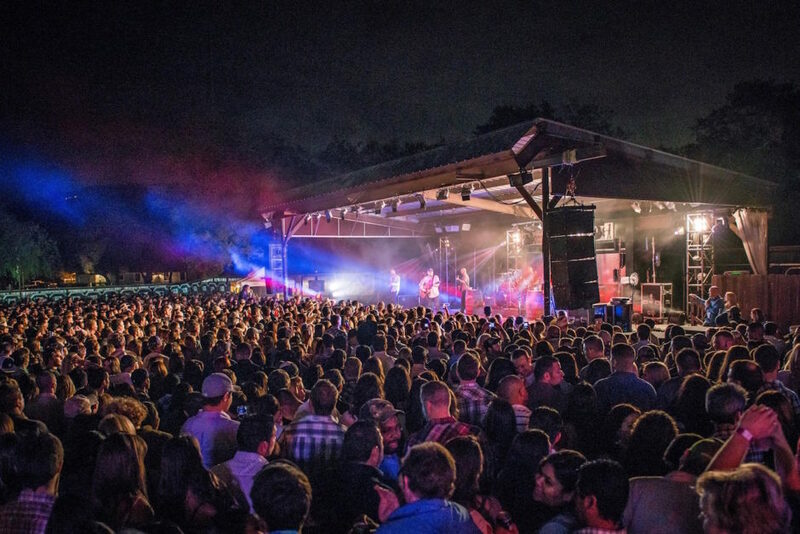 The cool and the cultured would converge here to relish in the beauty of one of Texas’ most unique venues. Fast-forward 90 years and the allure of the Aztec remains the same…though the sound system has definitely been upgraded. Here you can check out incredible live bands, nationally touring comedians, and podcast tapings. Recommended: For a great night of live music and Texas culture, get tickets to the Lone Star Beer Texas Heritage Fest on July 3. Or, if you’re really looking down the line, the Aztec just announced rising star Charlie Puth on September 27. Azuca, located in Southtown, brings together a lively blend of Caribbean, Central, and Latin American food and culture. We’re talking about a night of Sangria and Salsa, y’all. San Antonio is a city that likes things a little spicy, so why just listen to live music when you can get up and dance to it! Recommended: If you’re a Salsa newbie, bring your dancing shoes and $12 on any Saturday at 3pm for a salsa lesson from a professional dancer. Afterwards, take a break to dine on some Nuevo Latino cuisine like fresh corn fritters or pepita chicken, and then hang out with the La Libertad Orchestra, an electrifying eight-piece band that will keep you dancing the cha cha (or something like it) all night. Sam’s Burger Joint is the crown jewel of cool local hangs. Found near The Pearl, this place is one part concert hall and one part restaurant. The concert area is just the right size to feel intimate but not too compact, and you can expect no shortage of taxidermy, neon lights, and old license plates to add to the ambience. Recommended: Head out to Sam’s any Monday for a night of true Texas swing music and dancing from a number of rotating bands. If swing doesn’t do it for you, check out SKYROCKET! 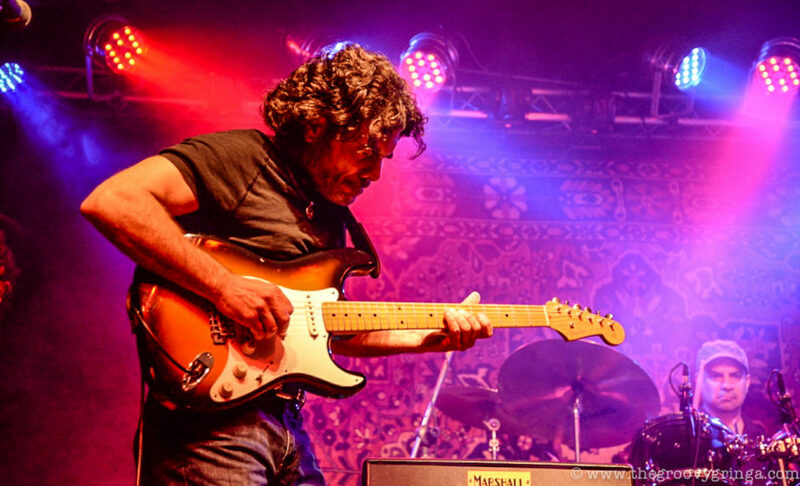 on July 8th for some ’70s-inspired tunes served Texas style, or Memphis-born Rob Baird on June 24. Tickets are available online, or — if there are any left — at the box office. If you find yourself on the River Walk during your trip (which you inevitably will), make sure to check the events calendar at the Tobin Center, a versatile venue that’s known as the “pride of the river.” Here you can experience some of San Antonio’s best musicians in the 1,738-seat main venue (which can be converted into an even bigger flat-floor layout), get a more intimate experience in the 295-seat Studio Theater, or enjoy a breezy night at the center’s outdoor venue right off the water. Recommended: Reach into your old bag of dance moves, grab “The Twist,” and go see Chubby Checker on June 25. If you’re not feeling old school, check out the Texas native and YouTube sensation Todrick Hall as he brings his Wizard of Oz-based musical, “Straight Outta Oz,” to the Tobin Center on July 19. This is a true Texas-sized establishment where you can get lost on the dance floor and lose track of time singing along with your favorite bands. The dance hall has two levels, two huge dance floors, tables that can be reserved, an indoor rodeo arena, and plenty — and I mean plenty — of beer. My only word of advice? Rumor has it you should bring your own koozie, but hopefully your dance partner will keep your hands plenty warm. Recommended: Cowboys usually has a lot going on and some big names on their lineup, like country crooner Chris Young on Saturday, July 9. Not sure your dance moves are up to par? Come out for the dance lessons (check the schedule online first) and learn how to two-step the night away, Lone Star State style. This East Side establishment that dates back to 1948 is a local San Antonio favorite that features an eclectic mix of entertainment and people. 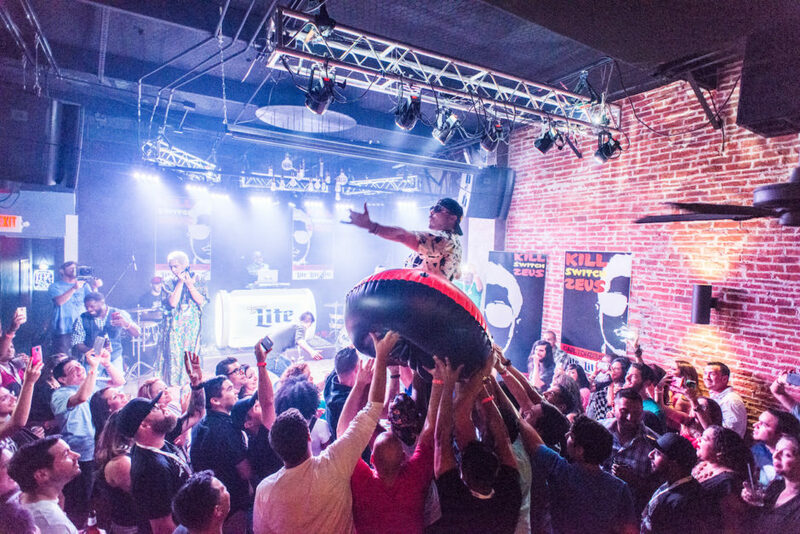 Though their musical lineup is constantly evolving, it’s likely you’ll find San Antonio’s best jazz musicians here, as well as popular DJs spinning tracks, like New York City’s born and raised TeckGeek. Recommended: Kozy Korner is a good place to be on a Tuesday night, when the Jim Cullum Jazz Band brings their world famous Dixieland swing to East Houston Street. These guys are an absolute San Antonio staple and will knock you out. Some people say this bar is a little hipstery; others say, “What’s wrong with that?” 502 Bar offers a more alternative scene with exposed brick walls, a hearty craft beer selection (don’t worry, they have Shiner Bock, too), and an impressive lineup of local and national artists. If you care about sound quality and stage production, this joint has some of the best in town. Recommended: June 21 showcases some soulful-meets-gritty Americana music from the up-and-coming band The Hummingbirds. Check this sweet duo out for some solid song writing and shoulder-swaying tunes. If you can’t stand to just watch, though, show up on Monday nights for 502’s Outlaw Karaoke night, where you pick the tunes and show San Antonio just how talented (or not) you really are. This “off-the-beaten-path” establishment is a great stop for anyone looking for a more intimate experience of local flavors. The checkered floors, walls adorned with paintings, colorful upholstered chairs, and delicious food make it worth visiting alone, but you’ll want to stay for the intoxicatingly delicious and just plainly intoxicating sangria served to the tune of Spanish guitars and the rhythm of Flamenco dancing. Recommended: Grab a date and get yourself to Carmens on any of their incredible Flamenco nights. Though their lineup is constantly rotating, there’s almost always Flamenco to be witnessed on Friday nights starting after 8. 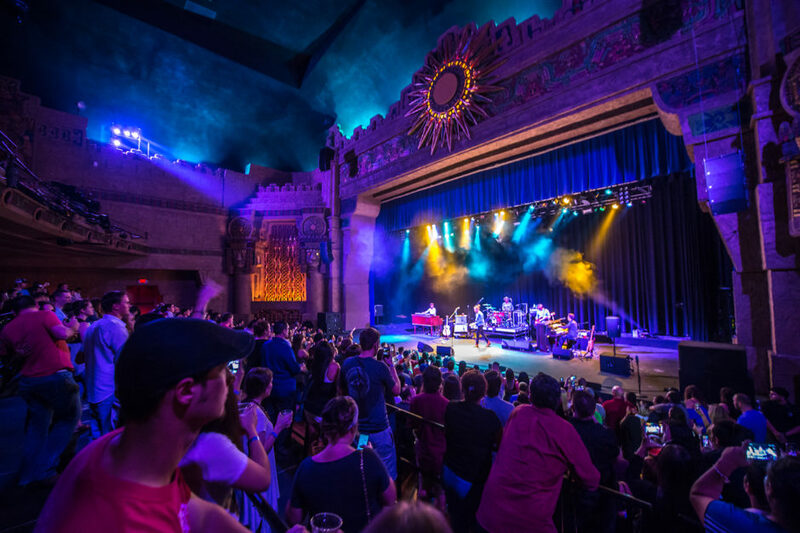 One of the most exciting forms of live music is a good ol’ flashy Broadway musical, and if you want to see one of those in Texas, you have to visit the Majestic Theatre downtown. The ornate and fabulous design of the building is worth the trip alone, but you’ll certainly want to stick around for a show. Each year the theater hosts an impressive lineup of national touring musicals, plus some of the biggest names in music. Recommended: Loretta Lynn (seriously, the Loretta Lynn) will be performing at the Majestic on July 15. If you’re looking for show tunes, The Sound of Music will be calling the Majestic home September 13-18, and Matilda The Musical, perfect for the family, will be rolling in next summer. If you’re hoping to get in touch with San Antonio’s Latin culture, you should start by getting in touch with its music and food. 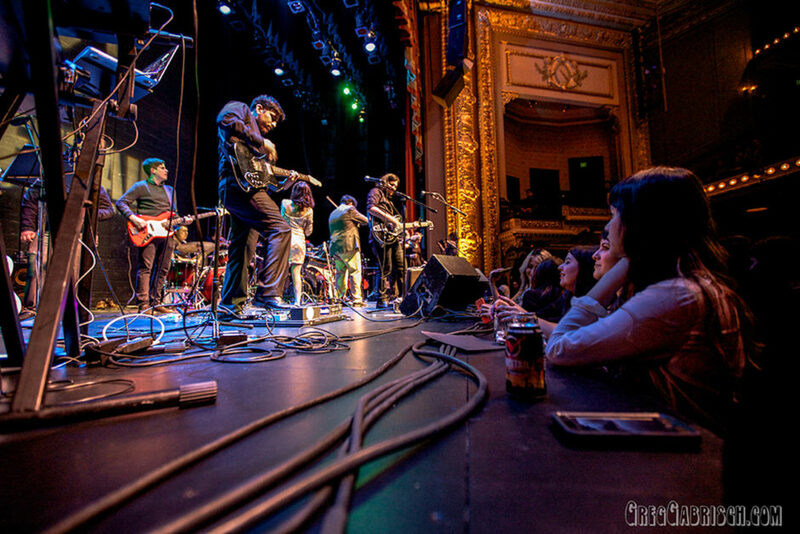 The Échale music series, hosted by The Pearl, includes a number of live concerts each year. At this free block party you can taste awesome food from local chefs and food trucks while swaying to the sounds of some of the world’s most popular Latin musical acts. Recommended: The Pearl is a hot spot that covers everything, all year-round. Though Memorial Day’s Échale was their flagship event for the season (with an all-female roster of Latina rockers), they’re hosting events throughout the year, including the Tamales! Festival in December. Keep an eye on this one, as good things are almost always happening. Let’s talk about a true Texas legend. When you walk into the hallowed halls of Floore’s Country Store, you’re walking through the ghost melodies of Hank Williams, Patsy Cline, and even the King himself. Here you’ll find storied cowboy hats hanging from the ceiling, ice-cold beers, and some of the acts keeping the Red Dirt scene going hard. Most definitely worth the half-hour drive north from downtown. Recommended: Honestly, the lineup at Floore’s is a little overwhelming, so you might just end up here every night. If you want to see some real Texas music, snag tickets for William Clark Green on June 24 or Randy Rogers with Wade Bowen July 14. 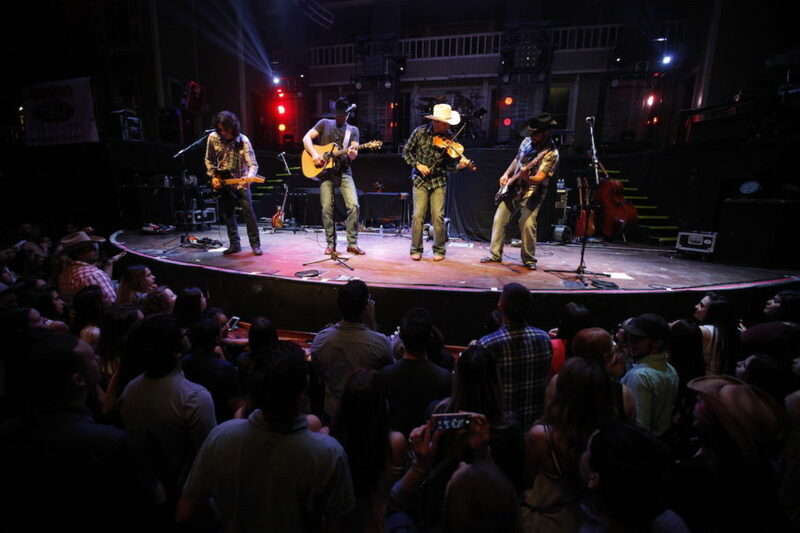 Whatever show you end up at, you’ll be glad you did when you see this historic Texas venue.